Our quick responsive surface probe ("leaf" or "paddle sensor“) is ideally suited for the accurate measurements of various surfaces. 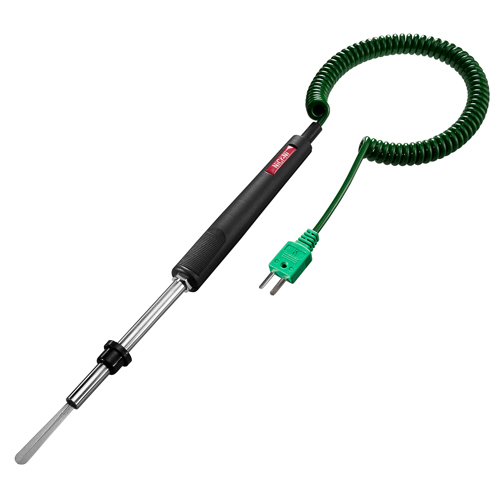 This popular B+B surface probe, type K, comes with green helical cable and a green thermocouple connector according to DIN EN 60584. It is ideally suited for quick measurements on various surfaces and in areas that are difficult to access. The extremely thin thermocouple sensor at the measuring tip ensures a very fast response time.